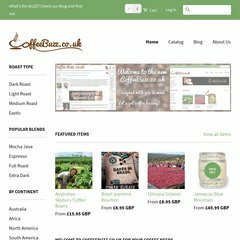 coffeebuzz.co.uk CoffeeBuzz - For all your coffee and chocolate needs. For coffee ..
Its IP Number is 74.220.202.43. Its 2 nameservers are ns1.hostmonster.com, and ns2.hostmonster.com. PING (74.220.202.43) 56(84) bytes of data.